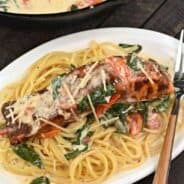 A comforting meal is only 20 minutes away with this new twist on a classic recipe! 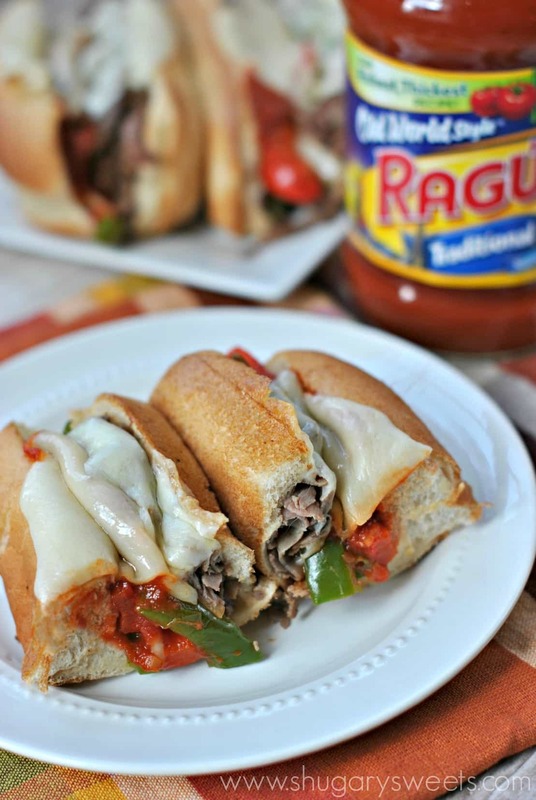 Saucy Cheesesteak Hoagies made with Ragú® Old World Style® Traditional Sauce and deli sliced beef for a quick and delicious dinner! **This post is sponsored by Ragú®. I am fortunate enough to be a brand representative and am sharing my 100% true opinions! I don’t know about you, but dinner is a crazy time in our house. We have kids coming and going from sports and after school activities all night long. But sitting down for a family meal has always been important to me. Sometimes I have the opportunity to slave away in my kitchen creating gourmet dinners. 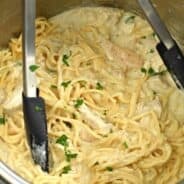 Many times I rely on my slow cooker to keep our meal ready when we are. But today, I’ve got a meal that is satisfying and delicious, and only FIVE minutes of prep. Dinner is on the table in twenty minutes. Not just any dinner…COMFORT FOOD. 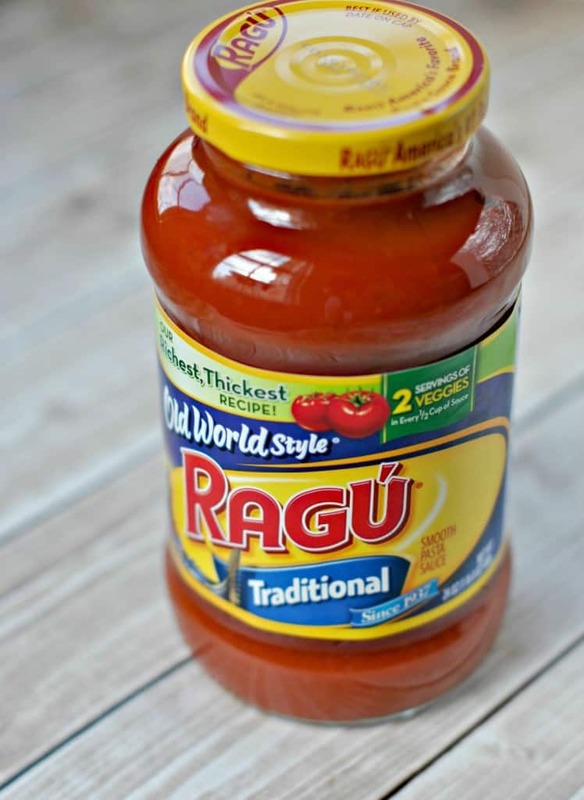 I’ve partnered up with Ragú® Old World Style® Traditional Sauce to bring you one of my favorite dinner secrets. 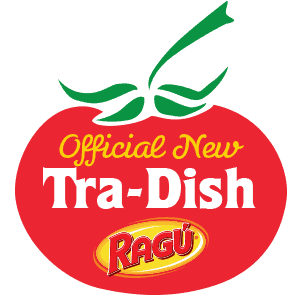 Ragú® is packed with 11 juicy tomatoes, making it richer, thicker and just taste better (vs. previous formula). 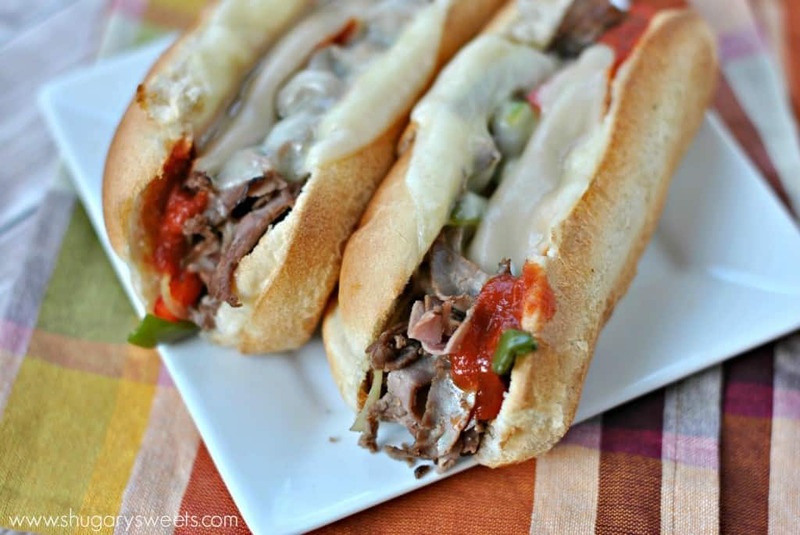 It also is the perfect sauce for today’s Cheesesteak Hoagies. 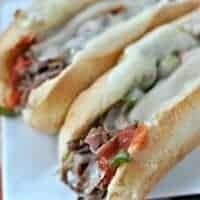 Using deli sliced roast beef. 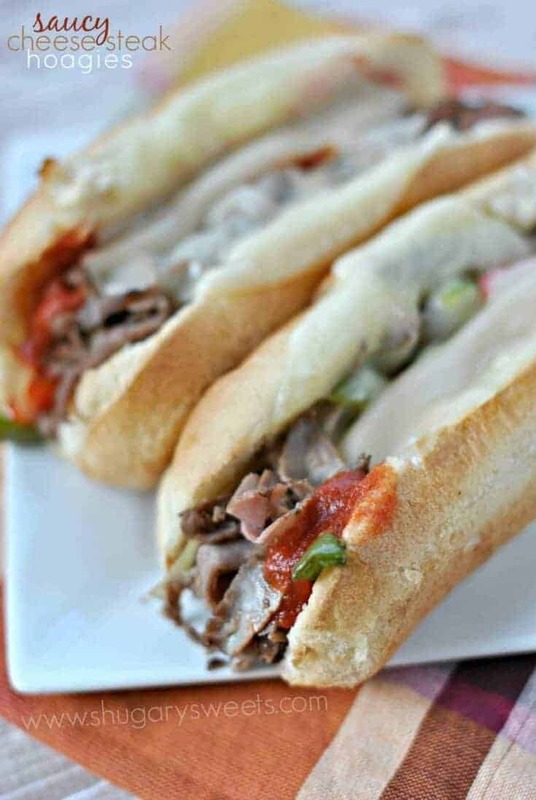 In the traditional Italian Cheese Steaks recipe from Ragú®, they used sliced sirloin. Which is delicious, no doubt. But keeping sliced roast beef from the deli on hand is so much more convenient for this busy mom! 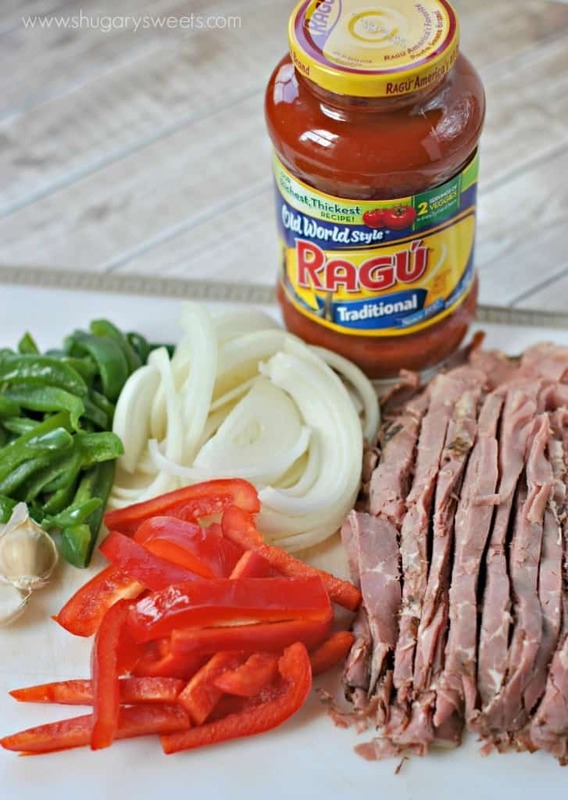 The recipe only uses 1/2 jar of the Ragú® Old World Style® Traditional Sauce. 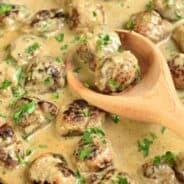 For the remaining sauce, you can use it for another recipe, or you can freeze it. I like to freeze it in large freezer bags because they lie flat and stack up nicely! You can thaw it on your counter too! In a large nonstick skillet, over medium high heat, saute olive oil with garlic, peppers and onion for about 5-7 minutes, until vegetables soften. Remove veggies and add sliced roast beef to skillet. Saute for 2-3 minutes until heated through. To assemble sandwiches, open each bun lengthwise and add roast beef. Top with vegetables, about 1/4 cup of Ragú® Old World Style® Traditional Sauce, and one slice of provolone cheese. Place on a baking sheet and bake for about 3-5 minutes, until cheese is melted. Add salt and pepper, to taste, if desired. You had me at RAGU!!!! !